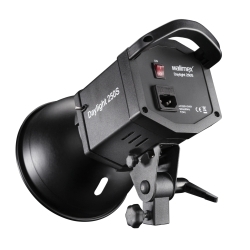 Due to the use of the Aurora/Bowens bayonet our Daylight 250s is compatible with many light controls from our product range. 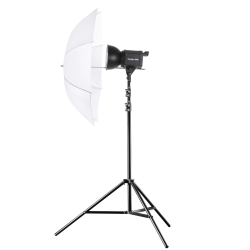 The sturdy metal reflector enables precision light guidance and offers additional protection. 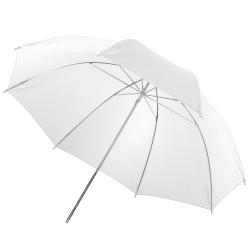 The recess on the reflector enables the installation of a transillumination or reflex umbrella directly on the lamp, the light is therefore bundled almost centrally by the umbrella. 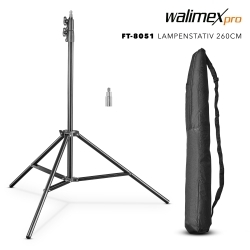 Due to the vast variety of usable light controls, our robust daylight lamp is perfectly suitable for both portrait and product photography. Moreover, the illuminant only generates little heat, which prevents the unpleasant development of heat, even in continuous operation.